The client had their existing non WordPress main business site and wanted their WordPress blog to match this. I worked with a theme and edited the style so that the blog theme matched the main site as closely as possible. Using the main site logo and adding to it for the blog to keep the branding of the business. What can I say… This lady should walk around with a geekfairy superhero cape! 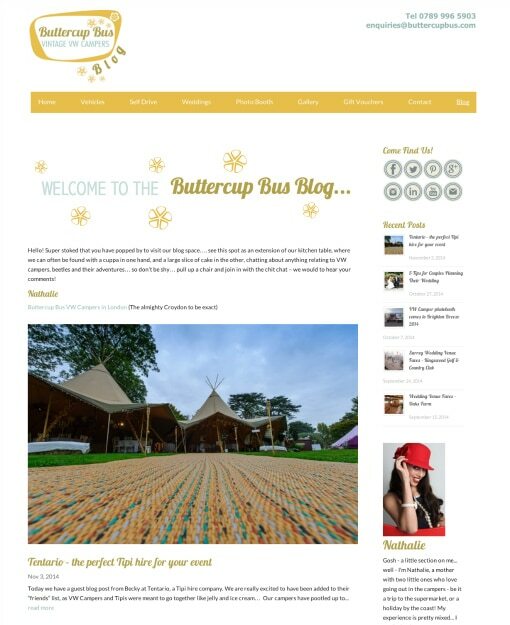 Jo whipped my blog into shape, aligning the brand with the core site. This was done really quickly and efficiently. I was so delighted with the results that I asked her help to design an online shop to complement the existing website… needless to say, she did a smashing job. Big thumbs up from me!